Esperanza Spalding, accepts the Best New Artist trophy at the 2011 Grammy Awards on February 13 in Los Angeles. The jazz singer beat Justin Bieber, Drake, Florence + The Machine, and Mumford & Sons for the award! Janelle Monae at the 2011 Grammy awards. 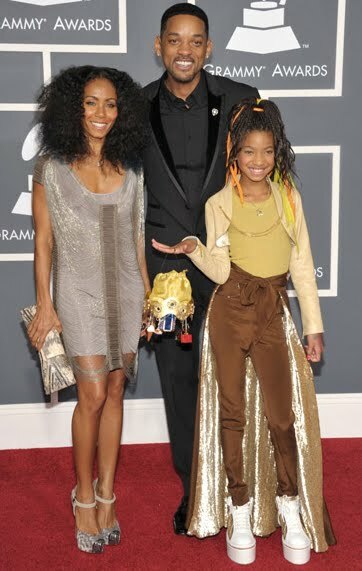 Willow Smith along her parents, Loving Jada's free flowing curls.